“You can tell she’s very proud of them, and she takes really good care of them." 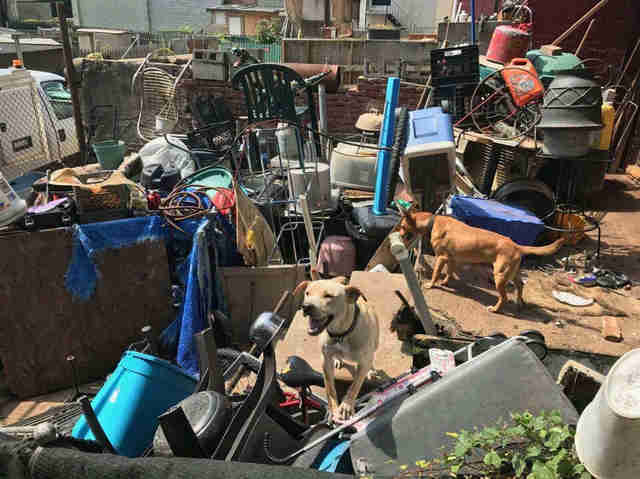 For years, the only home the dogs knew was a junkyard in an alleyway in Baltimore. While they’d technically been owned by someone, the owner had recently passed away, and the dogs had been fending for themselves ever since. Thankfully, someone alerted animal control. When the officers arrived a few weeks ago, they found two dogs — a male Labrador mix and a petite golden-furred female who’d be named Goldilocks. But as the officers were getting the dogs onto their transport vehicle, they heard something — squeaking. 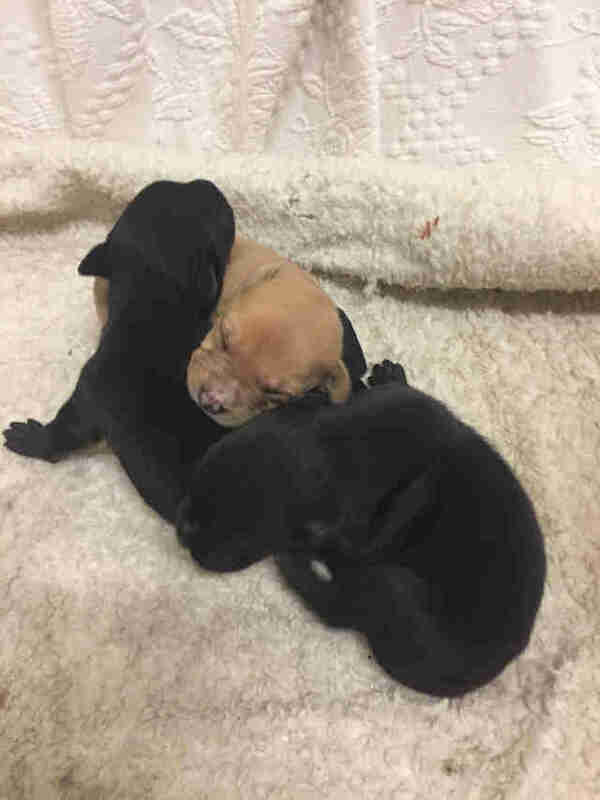 A swift search led them to three tiny puppies — two black ones and one brown — huddled behind a junk pile. 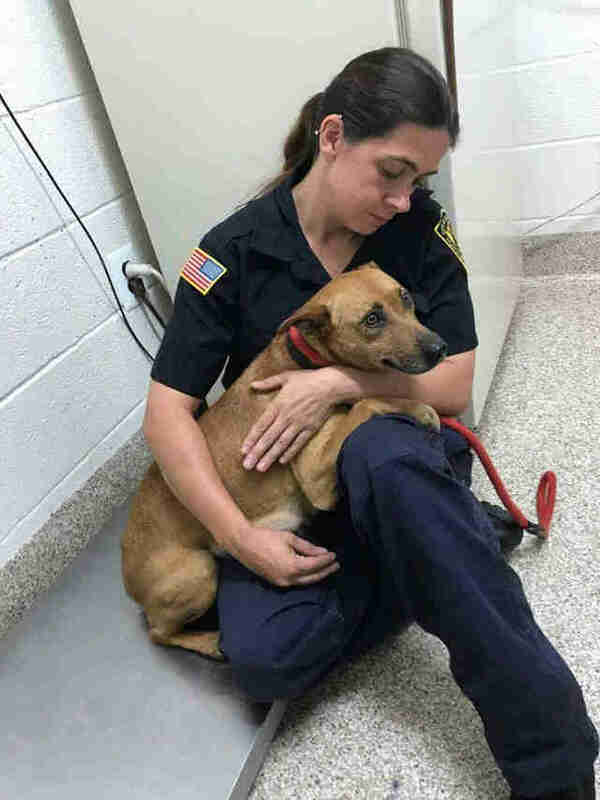 The officers took the dogs back to Baltimore Animal Rescue and Care Shelter (BARCS), and kept them there for their stray hold. “They wanted to make sure that nobody was going to come forward for them, like a family member,” Sosa said. But no one did. 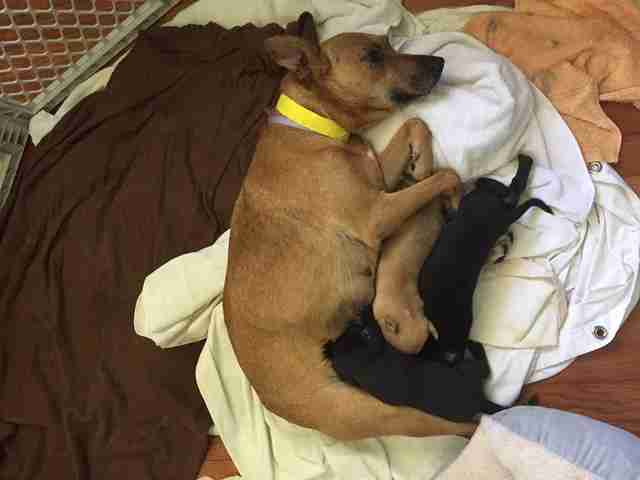 The male lab mix, who Sosa believes fathered the puppies, was quickly adopted after his stray hold. 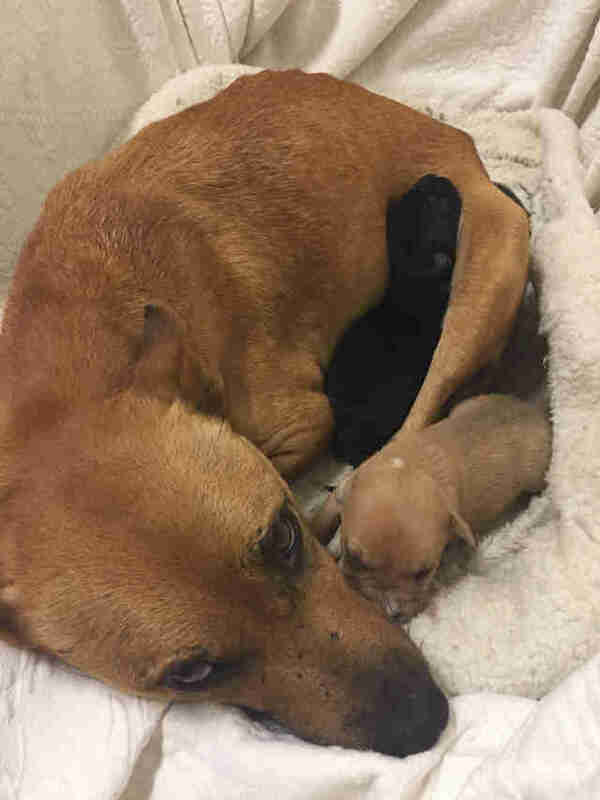 Goldilocks and her puppies, however, needed more time together — Goldilocks was still nursing, and her puppies needed to get bigger and stronger. 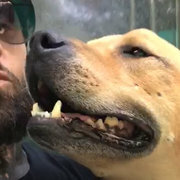 So last week, Sosa went to pick them up, and transferred the little family to the shelter run by the Humane Rescue Alliance in Washington, D.C. 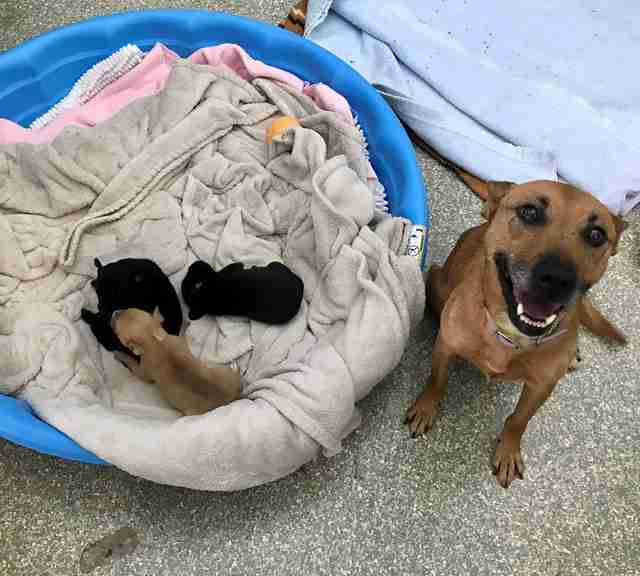 Since the mom was already named Goldilocks, the workers at the Humane Rescue Alliance named the puppies Little Bear, Pooh Bear and Baby Bear. “I think it was because she had three little ‘bears,’” Sosa said. Goldilocks is a bit thin and malnourished, so the shelter staff is giving her extra meals and vitamins to help her gain weight. 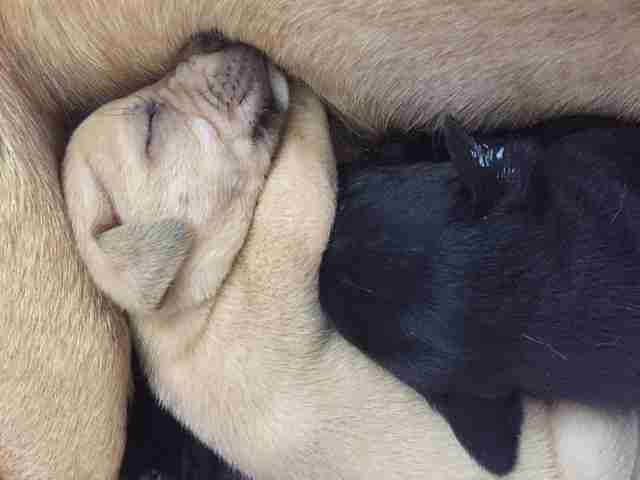 But nothing has stopped Goldilocks from being a great mother to her puppies. Once the puppies have grown up a little, they will all be up for adoption. If you’re interested in giving Goldilocks or her three puppies a forever home, contact the Humane Rescue Alliance.